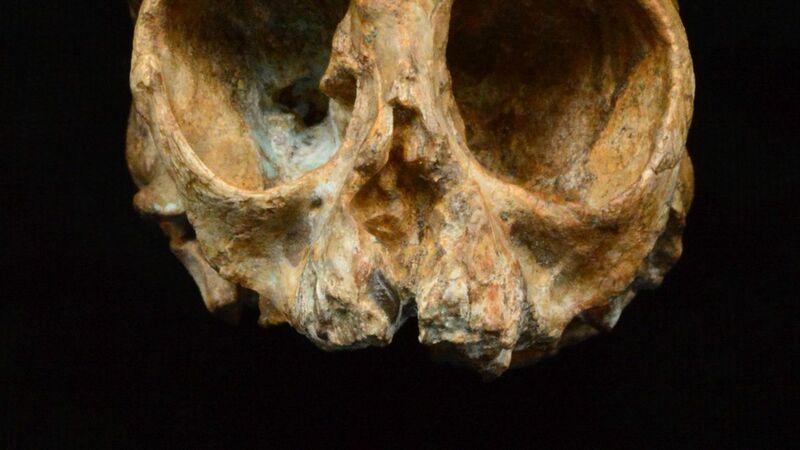 A new discovery of a nearly intact 13 million-year-old infant ape skull could fill a critical gap in our understanding of how similar hominoids began to evolve and differentiate into separate species, researchers reported in Nature today. Why it matters: Hominoids — which includes modern humans, our archaic ancestors and relatives, and great apes — diversified into dozens of different species starting roughly 23 million years ago. But, due to the lack of complete skull specimens, the fossil record is essentially blank from about 17 million years ago to 7 million years ago. This new discovery falls in the middle of that archaeological blind spot and is the best candidate so far for a common ancestor of all apes. The lemon-sized specimen was assigned to a new species of ape that evolved alongside gibbons, great apes and humans. Because the skull was discovered intact, researchers were able to compare the infant ape skull to partial cranial data for gibbons. They saw distinct differences including the size of part of its inner ear canal, which they say suggests this particular ape species was likely more comfortable on the ground than in the trees.